It's hard to sell this camera - but I have to invest in a new lens for my DSLR. It's in good condition - some scratches, but nothing major. It hasn't been used as often as I'd like to have used it. It was made in Japan, and I've been the only owner. The extra's are worth the extra money. This camera has a max aperture of 2 - so it's great for low light shooting and getting some bokeh shots. It's amazing for street photography. It has a hybrid viewfinder or you can use the LCD screen when shooting, and it shoots in RAW. 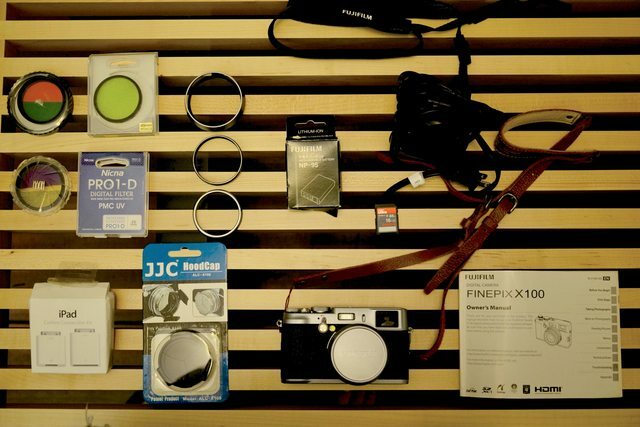 It also comes with the accessories provided by Fuji: battery charger, camera strap (the brown camera strap is not part of sale) & the instruction manual. This Fujifilm FinePix 12 MP camera is impressive, and it is capable of delivering crystal clear pictures no matter where you are and capturing your memories forever. Capture the moments of your life without adding any flash memory by taking advantage of the 20 MB of built-in storage featured on the Fujifilm FinePix X100 digital camera. This Fujifilm FinePix bridge camera digital camera features ample battery life, therefore you can keep on using it on the move. 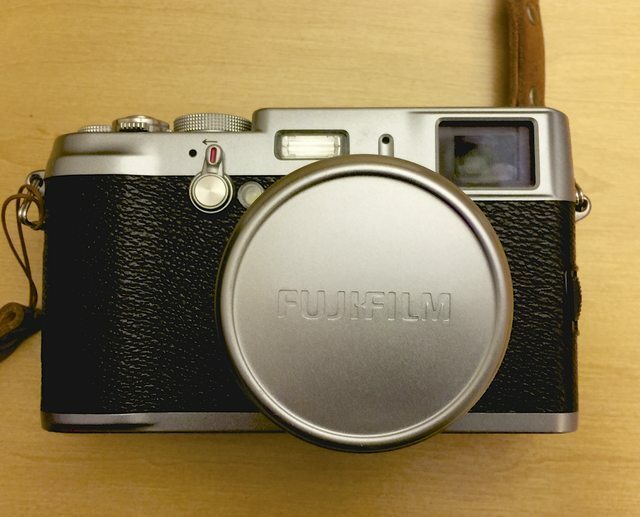 With its silver body, this Fujifilm FinePix 12 MP camera is a classic device for taking pictures. With the HDMI slot on the Fujifilm FinePix X100 digital camera, you can catch your special moments in amazing clarity and show them to family and friends. This Fujifilm FinePix bridge camera digital camera features a replaceable flash memory card allowing you to select the amount of storage for pictures. Furthermore, this Fujifilm FinePix 12 MP camera features a moderate-sized image sensor, so you can deliver 9x14 inch photographs of the special events in your life and share them with family and friends. Selecting a camera with a higher number of megapixels means you can enlarge and crop your pictures without adversely affecting the picture's quality. You can play back shots of the poignant moments of your life because the Fujifilm FinePix X100 digital camera comes with an extraordinary 2.8-inch LCD monitor. With the 15x optical zoom lens found on this Fujifilm FinePix bridge camera digital camera, you can make distant objects appear closer without losing sharpness.